Kate's (Portia Doubleday) dream is to design for couturier houses. 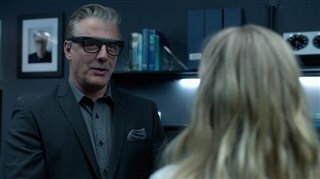 Although she's brimming with talent, no one wants to hire her because her father, Lee Kassell (Chris Noth), markets bargain price knock offs "inspired" by the designers Kate would like to work for. They assume she'll spy on upcoming designs and report back to her father, who will then be a step ahead of new fashion releases. Instead, Kate joins the family business, which includes her underhanded stepmother (Lauren Holly) and two equally duplicitous stepsisters. 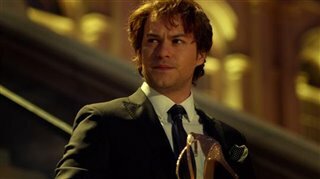 Just when it seems her dreams will never come true, she gets the help of a prince of a guy in the shoe department (Marc-André Grondin). Along with her godmother's vintage clothes and a clever identity switch, Kate may finally be able to expose the evil trio. Canadian Connection: Filmed in Montreal. Several cast members are Canadian. Produced in association with Telefilm Canada and with the participation of the Ontario Media Development Corporation. "great to see such a great little film made in Canada with Canadian talent behind the lenses!!" "Cute romantic comedy, pleasant diversion." "Superior drama, inventive and engrossing. Based on the classic ballad by Paul McCartney & Wings."